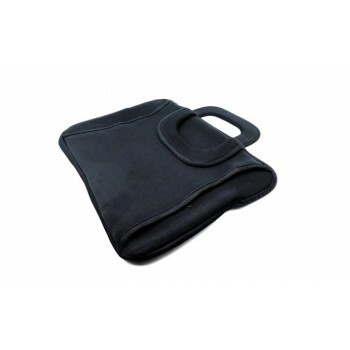 Great on its own, works well with others: Whether using the Neoprene Sleeve by itself or placing it into another bag for added protection, the flexible neoprene padding provides extra protection for your laptop. Convenient in every way: With a non-slip base to keep the sleeve in place, nylon handles to grab and go with ease and an oversized exterior pocket for storing your power adapter, USB or flash drives and other miscellaneous gear, the Neoprene Sleeve does not just protect, it pleases. All in the details: With the iconic matte black alien head logo on the front panel, Alienware-engraved reverse zippers and a soft touch Lycra body, the Vindicator Neoprene Sleeve is candy for the eye as well as skin for your system. 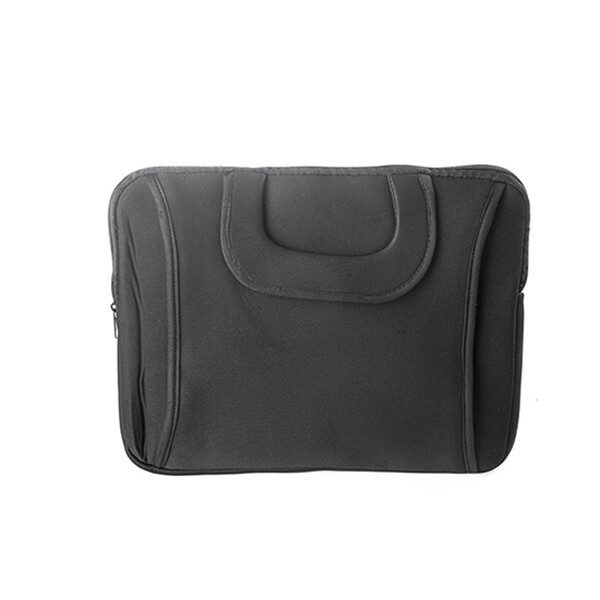 Added protection: Flexible neoprene padding conforms to your laptop to create a perfect fit and ward off scrapes and scratches. Stays put: The non-slip base keeps the sleeve from moving where it’s placed, while the top loading nylon handles have your system ready to grab and go. Pack in the goods: An oversized exterior zippered pocket allows you to store additional accessories. A perfect laptop bag for a general laptop.